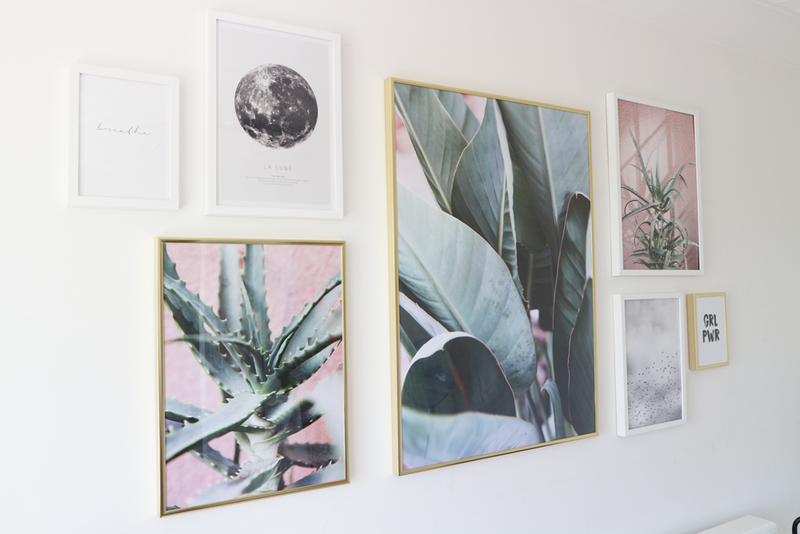 Gallery walls are the sh*t. I’ve been wanting to create a gallery wall for a long time now. 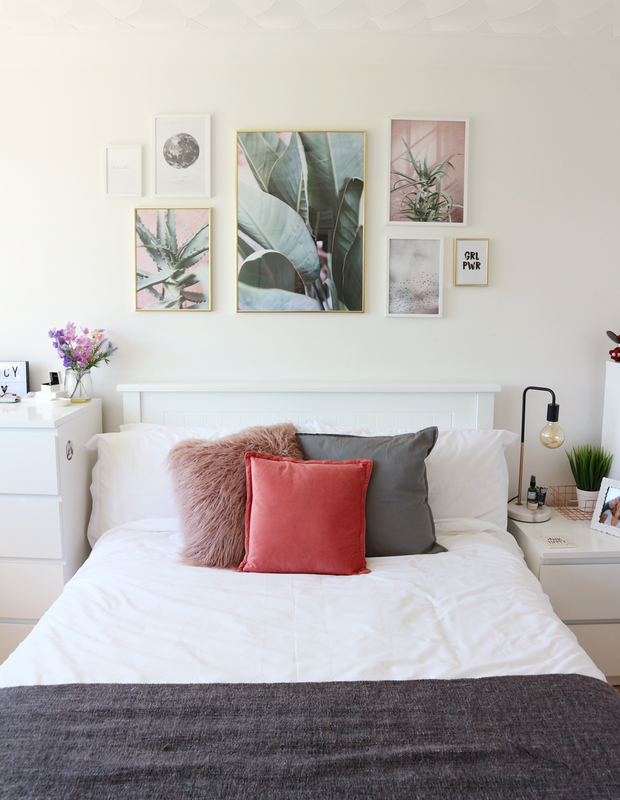 I moved into my brothers old bedroom a few years ago and have slowly been making it my ideal little haven over the years, and a gallery wall was one of the final finishing touches. When Desenio offered to send me a few posters for it, I jumped at the chance. 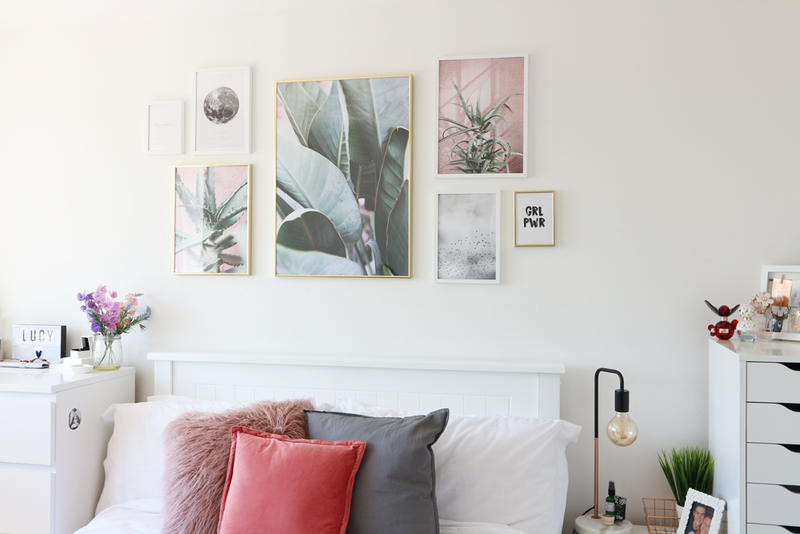 I opted to make the gallery wall a statement area above my headboard, and went for the oh-so-blogger-esque pink cacti theme, with black and white prints around it. Pretty much all my furniture in my room is white, so to mix things up a bit I opted for a mix of white and gold frames. I am so happy with how it turned out. It was a bit stressful deciding on the prints, sizes and where to put them all but I think it’s just perfect! 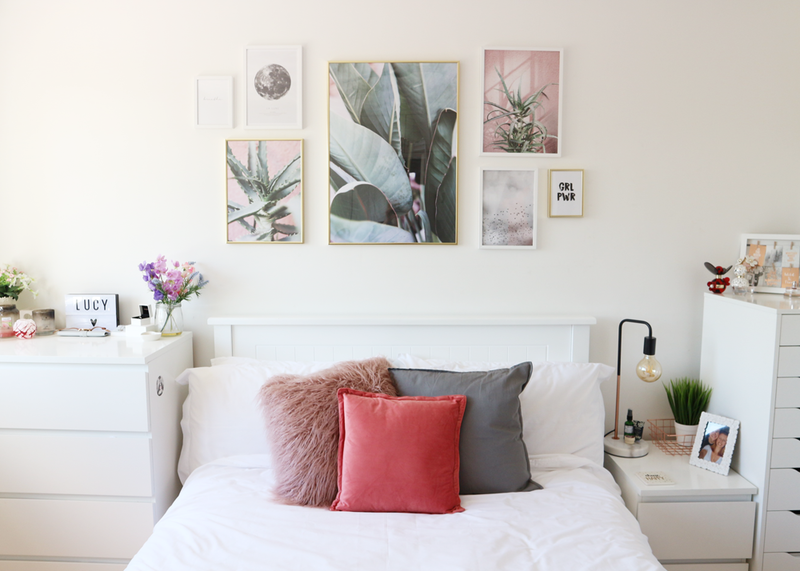 If you fancy getting yourself your own posters from Desenio , they’ve kindly given all my readers a 25% off code for two days only! Simply type in ‘lucycole’ in the checkout, but be quick it’s only valid until the 17th August!! (Not valid for handpicked frames). What do you think of my new gallery wall? What colour theme would you go for? "Batiste 2 in 1 Invisible Dry Shampoo and Conditioner"